Kallio Kukkii Festival was arranged on 11.5.-20.5.2018. This festival offers tens of different cultural events organized by various local associations, communities and enterprises. Part of this festival is a samba parade that is arranged on the last day. The Samba School Império do Papagaio uses this parade as practice for the Helsinki Samba Carnaval. 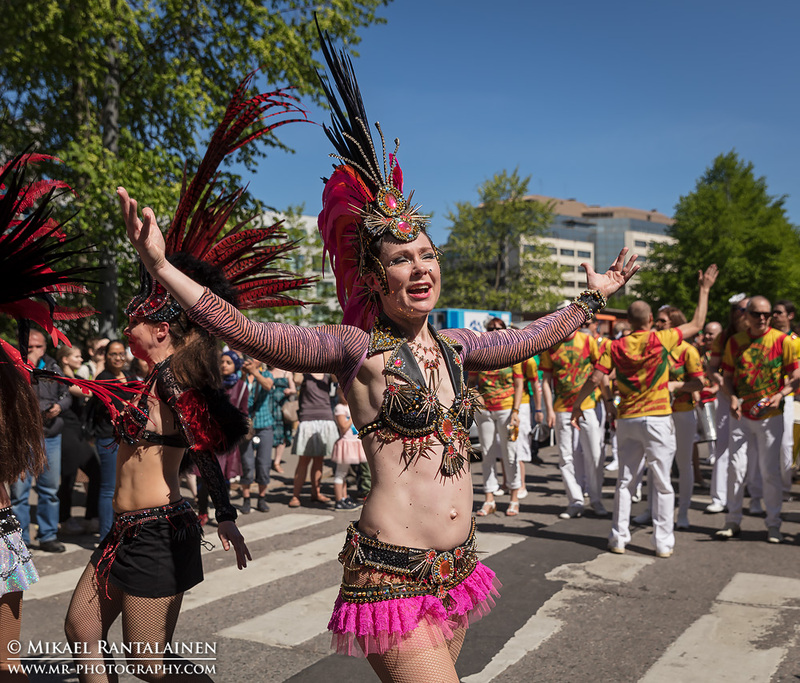 Império do Papagaio at Kallio Kukkii 2018 Festival gallery has some photos from this practice parade. This entry was posted in Dance, Event, Samba and tagged Event, Finland, Helsinki, Kallio Kukkii, Samba.